Hewlett-Packard will take another shot at Apple's iPad with the release late this year of a tablet computer geared for work instead of play, chief executive Meg Whitman said Thursday. The tablet will run on Microsoft Windows 8 software and take on iPad in the workplace, where HP will bank on its reputation and its strengths in providing gear and services to businesses, according to Whitman. "It is not really a tablet market, it is an iPad market," Whitman said during an on-stage chat before a small gathering of entrepreneurs and executives at a Wall Street Journal Viewpoints West gathering in Silicon Valley. "The iPad is terrific; I have one," she continued. "I use it to read books or watch TV but I don't use it to really get work done." 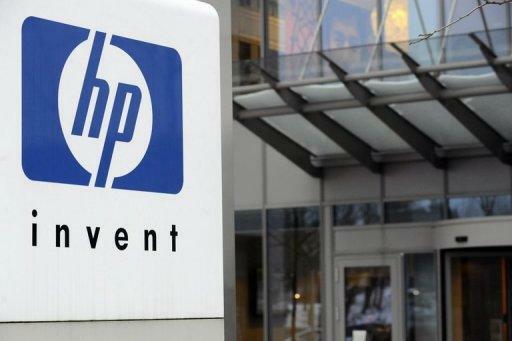 HP will release by Christmas a new tablet tailored for security, productivity and business network compatibility, said Whitman, who took over as the California-based technology titan's chief executive five months ago. "There is a big trend to BYOD to work; which is all well and good until there is a security breach," she said, referring to people increasing bringing their own devices such as iPhones or iPads to use on the job. "We are going to provide an alternative." A blockbuster hit with people in their personal lives, iPads have been gaining traction in workplaces. HP made a dismal initial foray into the tablet market last year with a TouchPad powered by webOS mobile operating system software it acquired as part of its $1.2 billion purchase of Palm in 2010. Citing disappointing sales, HP decided to discontinue the TouchPad just seven weeks after it hit the market. HP later promised to make webOS available to the open source community by September, meaning that developers anywhere would be able to tinker with it as they wished and it would be available for anyone to use free of charge. The Palo Alto, California-based HP abandoned plans to make smartphones and tablet computers using the platform. HP's first tablet to take on iPad "was not a happy ending," admitted Whitman.